Red Vinyl. 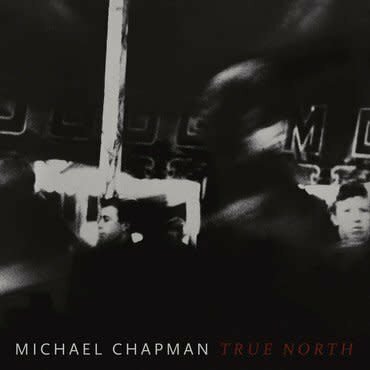 The masterful follow-up to his universally celebrated 2017 album 50, Michael Chapman’s True North finds the elder statesman of British song writing and guitar plumbing an even deeper deep and honing an ever keener edge to his iconic writing. This authoritative set of predominantly new, and utterly devastating, songs hews to a more intimate sonic signature—more atmospheric, textural, and minimalist than 50, stately and melancholy in equal measure. Recorded in rural West Wales, True North unflinchingly surveys home and horizon, traveling from the Bahamas to Texas to the Leeds of Chapman’s childhood, haunted by the mirages of memory and intimations of mortality. Joining him on this introspective journey is a cast of old friends and new disciples: once again Steve Gunn produces and plays guitar, and fellow UK song writing hero Bridget St John sings, collaborating with cellist Sarah Smout and legendary pedal steel player BJ Cole, who has accompanied everyone from John Cale to Scott Walker, Elton John to Terry Allen, Felt to Björk. Whereas 50 featured two new songs among radical reinterpretations of material from Chapman’s deep catalogue, True North includes twice as many new numbers among its quiver of eleven arrows - It’s Too Late, Eleuthera, the fiery Bluesman, and slow-rolling album centre piece Truck Song - confirming the exultant return of Chapman the songwriter. The other songs were selected from various obscure corners of Chapman’s vast catalogue (Youth Is Wasted on the Young was previously recorded with Thurston Moore and Jim O’Rourke for a compilation, for example.) In these renderings they receive their definitive treatments, utterly transformed.